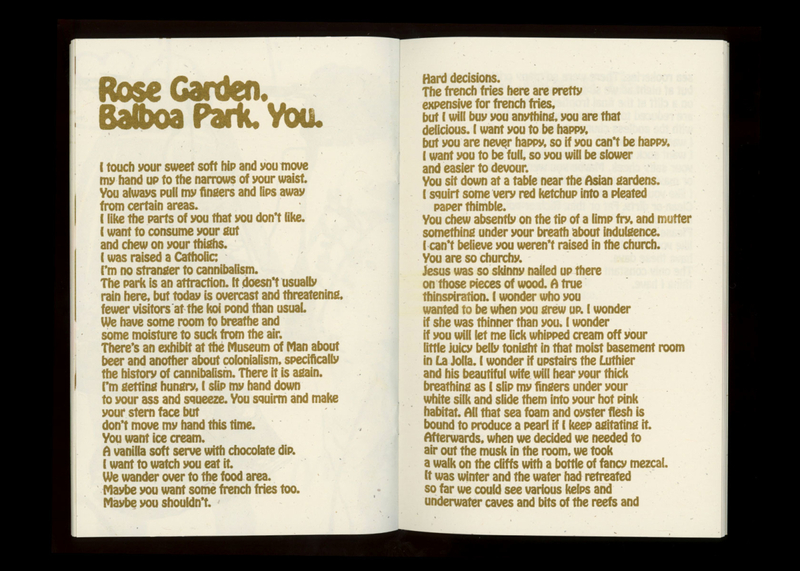 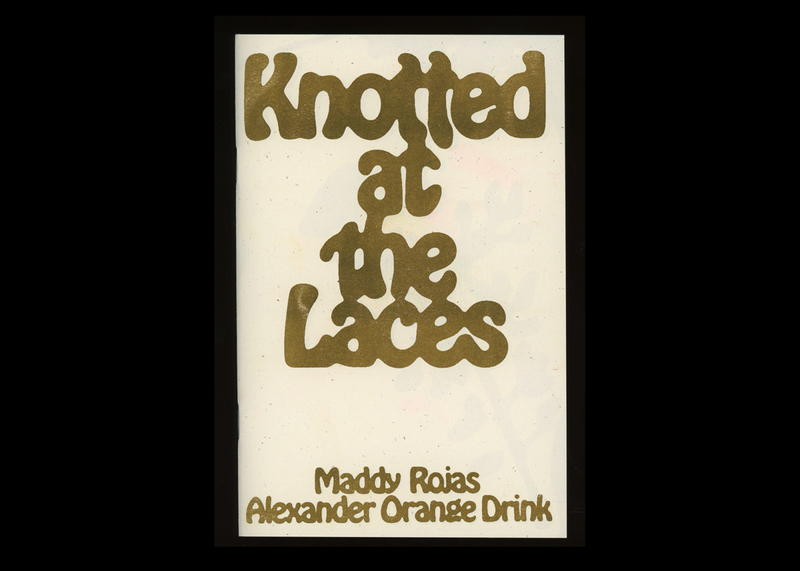 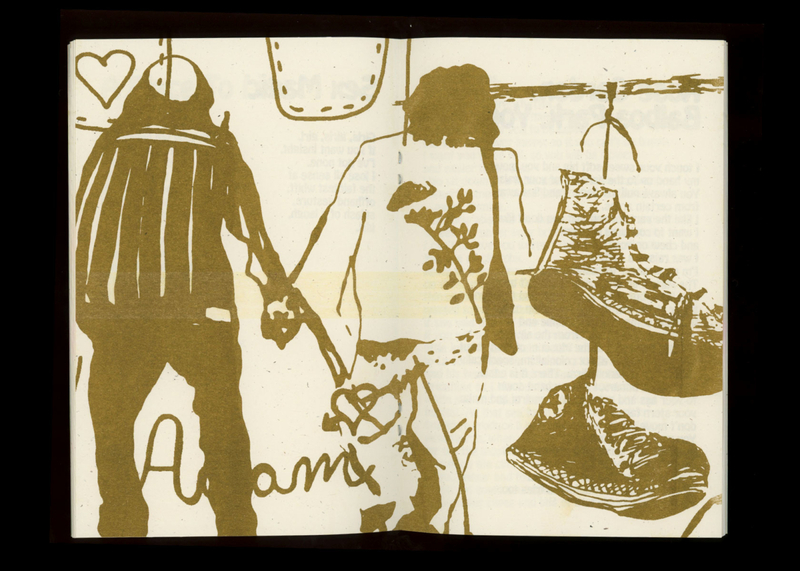 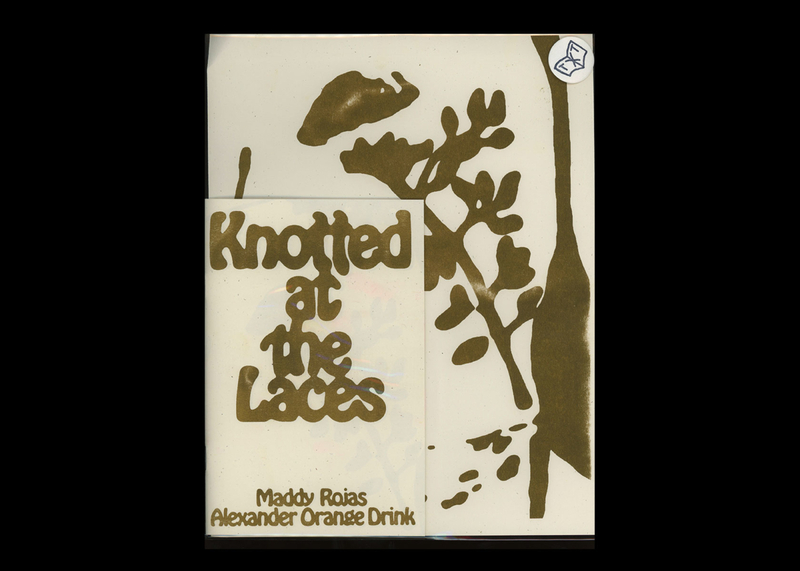 Knotted At The Laces is a documentary poetry project by Maddy Rojas and Alexander Orange Drink. 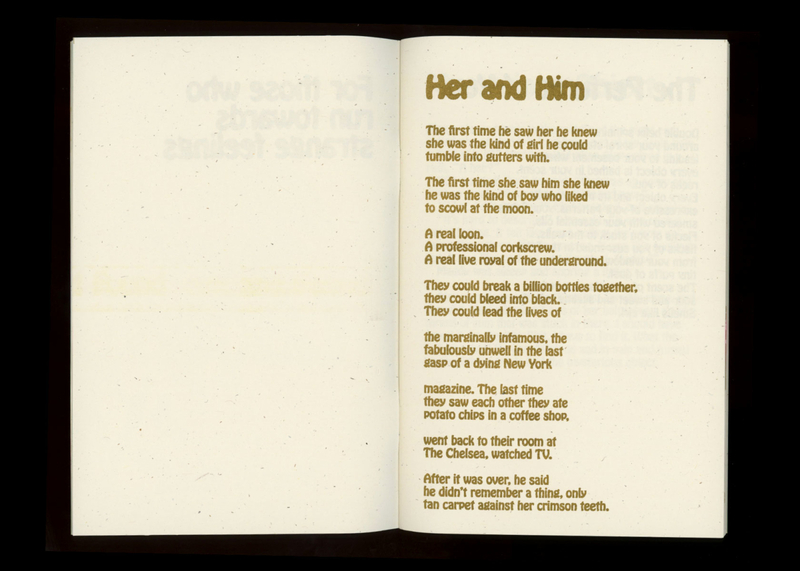 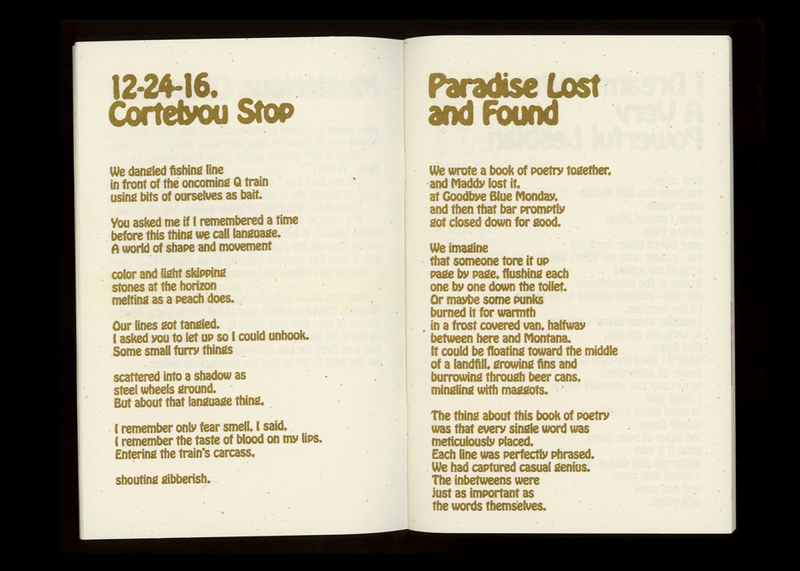 The poems contained within this book were written in the process of ending their four year and nine month long relationship. 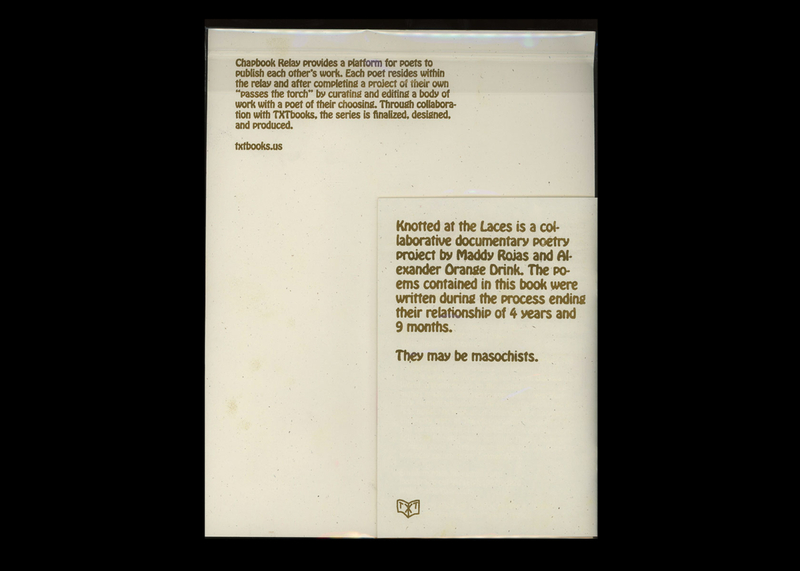 They may be masochists. 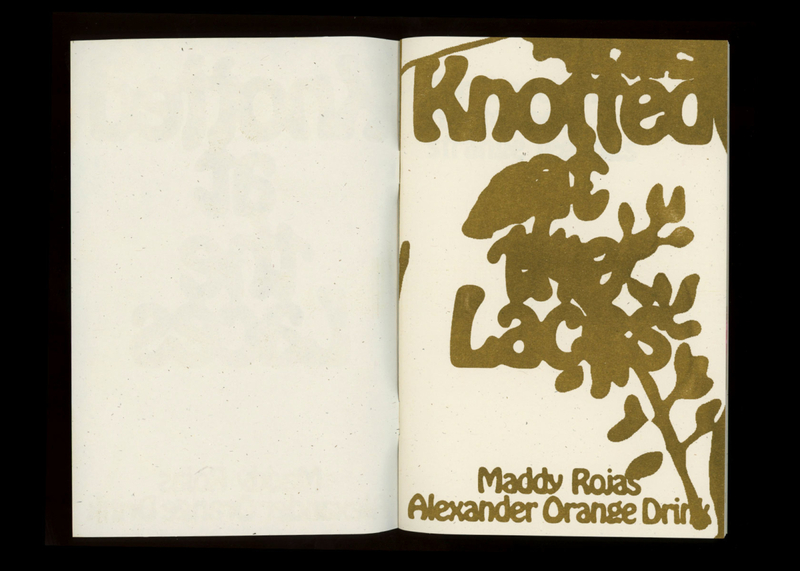 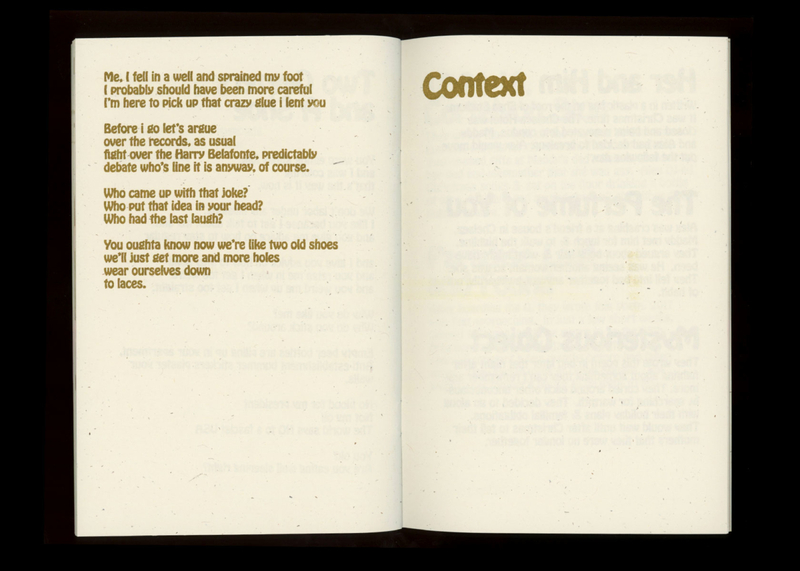 It is the fifth entry in TXTbooks' chapbook relay series.